John Lindberg has been actively performing and composing for around 40 years now, but he’s yet to slow down. 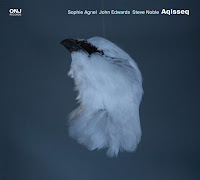 His most recent recordings appeared on Clean Feed in September of 2016, and they are definitely a treat for those who appreciate exciting, inventive trio work. The first release I’ll talk about, Born in an Urban Ruin, features Wendell Harrison on Bb clarinet and Bb bass clarinet, Kevin Norton on vibraharp and other percussion, and the inimitable Lindberg on bass. After an opening track that allows a solo Harrison to set the mood for the album (a mood that is decidedly cinematic), things kick off with the infectious “Vermont Roadside Family.” Here, Lindberg’s bowed-out bass melody seems to be the key component - vaguely sinister, with a hard-driving forward movement that carries the piece along wonderfully. 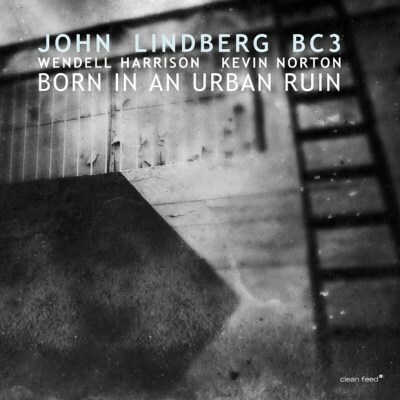 Norton’s vibraharp is a terrific addition, adding as it does a noirish sensibility that complements Lindberg’s compositions well. 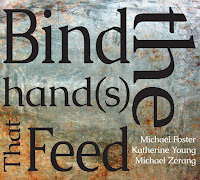 The next three pieces are actually a unit, called “The Left Wrist,” and dedicated to Roy Campbell, Jr., the celebrated free jazz trumpeter who passed away in 2014. Moving through a variety of moods and containing a number of compositional surprises, the only thing that would make “The Left Wrist” better is an appearance from Campbell, Jr. himself. 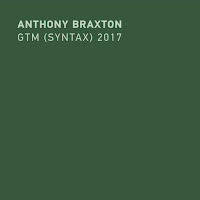 “Swooping Deep,” the full-band version of the piece that Harrison starts the album with, is a somber, downtempo number that acts as a bit of a breather before the more varied “Devastation of Vegetation,” which bounces nervously from idea to idea, ultimately resulting in the most abstract piece on the record. Lacking a traditional percussionist, it might seem that Lindberg’s compositions would fall flat or run out of steam - that’s not the case, however. 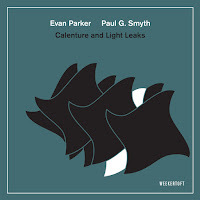 The arrangements and bouts of improvisation are intriguing enough to maintain interest, and the ability of this trio to build up a specific atmosphere is top-notch. 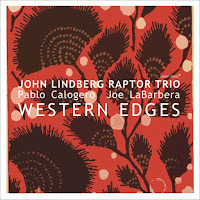 With Pablo Calogero on baritone saxophone and Joe LaBarbera on drums, Western Edges gives us a chance to see what Lindberg’s compositions look like with slightly different instrumentation. As expected, the result doesn’t disappoint: though it’s still a trio, LaBarbera’s percussion adds a vibrancy that helps transform the overall “feel” of Lindberg’s incredible arrangements. 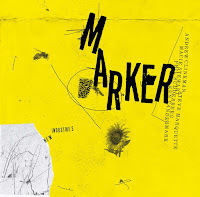 Even on slower numbers, like “Ethereal Extensions,” LaBarbera’s drumwork is vital, lending the piece a kind of anxious energy that is constantly bubbling beneath the surface. That’s not to say that LaBerbera is the V.I.P. 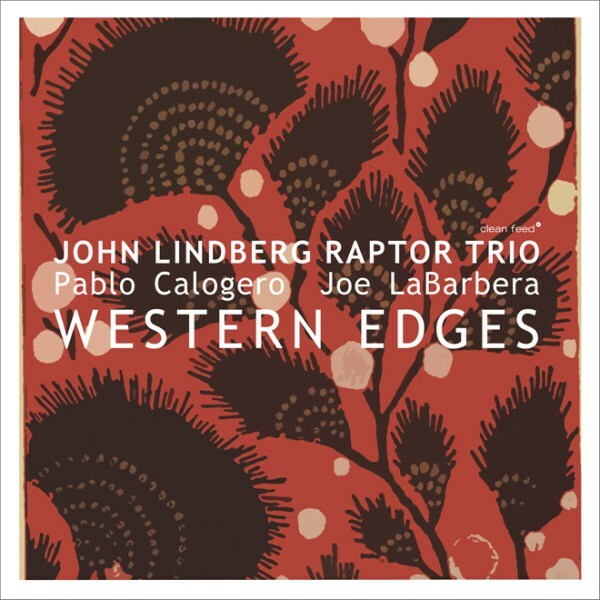 of the trio, however - on the aforementioned track, Lindberg’s bass is as restless and exploratory as ever, always seeking out new melodic and rhythmic possibilities within the confines of the composition. “T’wixt D and E” is a heady, fast-paced piece where Calogero truly gets the chance to shine; on this track, his deep, full-bodied tones veer off in numerous directions, from rich clusters of melody to moments of caustic over-blowing. “Raptors” is a showcase for Lindberg’s mastery of technique, with basswork that is overwhelming in its physicality, as if Lindberg were trying to beat the instrument into submission. Western Edges might not be as delicately atmospheric as Born in an Urban Ruin, but it makes up for that with more fervent playing, and with compositions that seem to be more imaginative and complex.